MOUNT PLEASANT — The city of Charleston has agreed to a limit on cruise ships, but that doesn’t apply to Charleston Harbor. Luxury cruise ships are expected to drop anchor near Fort Sumter and ferry passengers to shore at Patriots Point, now that the maximum allowed cruise ship visits to the Port of Charleston have already been booked for this year. Mount Pleasant Councilman Gary Santos has been advocating the concept for more than a decade, and with Charleston cruise ships scheduled to reach the State Ports Authority’s annual 104-visit cap — for the first time — demand for alternatives appears likely. 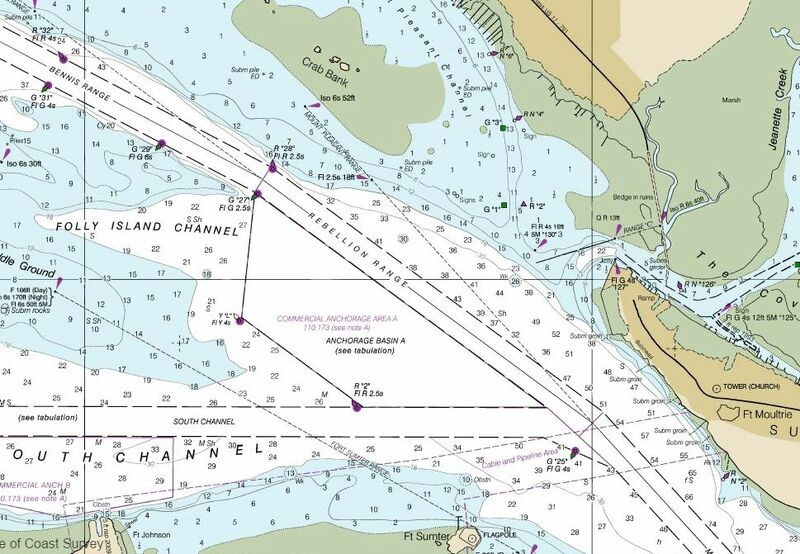 The area, known as “Commercial Anchorage A” between Fort Sumter and Crab Bank, could suit cruise ships that carry hundreds of passengers rather than thousands. The passengers would get from the ships to shore on smaller boats, known as tenders, that SpiritLine Cruises/Fort Sumter Tours has agreed to provide, according to Santos and Chris Hauff, spokesman for Patriots Point. Cruise ships that visited Charleston last year ranged from those with fewer than 200 passengers to those with more than 3,000. Santos, whose job as a port manager for Inchcape Shipping Services includes booking cruise ship stops, said visiting passengers could pump money into the town with little negative impact. Santos said that’s what happened in 2004 when he helped arrange for the 382-passenger Silver Whisper to tender visitors to the town. Hauff said Patriots Point’s board doesn’t have a role in the plan, but it supports the idea. “This would be a good thing for us, because it would bring people into Patriots Point that wouldn’t be here otherwise,” he said. SpiritLine Cruises/Fort Sumter Tours, which has a four-vessel fleet, already serves passengers from a dock at Patriots Point, where they board for tours and harbor cruises. The Coastal Conservation League and other groups have been fighting the cruise ship business in Charleston for years, and plans for a new cruise ship terminal at Union Pier on the peninsula in particular. Dana Beach, director of the CCL, said Patriots Point seems like a more appropriate place for passengers to arrive. Beach said that visiting cruise ships cause fewer problems than those that begin or end cruises in Charleston, because port-of-call visitors don’t have cars to park. “It’s just people going to the beach, or Charleston, or whatever they do,” he said. In Mount Pleasant, Santos said he’s working with local attractions and businesses that would be interested in having busloads of cruise ship passengers arriving. Bay Point development is a lose-lose-lose proposition. The nation's newest national monument, in SC! Too much of a good (Sullivan's Island) thing. Cruise ships in Mt. Pleasant? Long live the Conservation Bank!